Lenovo has started teasing Upcoming Note Smartphone in India. Now New Note Series smartphone Lenovo K8 Note has been spotted on Geekbench with Helio X20 SoC and 4GB RAM. 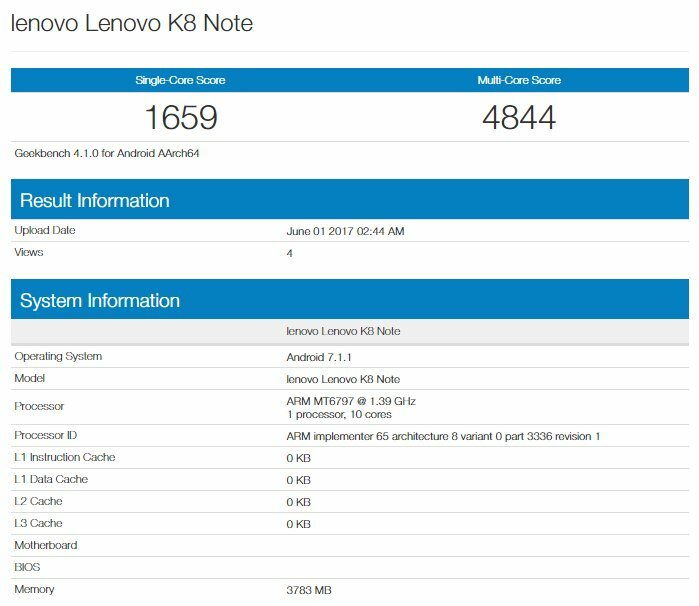 Lenovo K8 Note expected to launch Soon. Helio X20 ? Mediatek SOC WILL MEAN HARAKIRI for Lenovo. If targeted at Indian market, Lenovo will be disappointed with sales numbers, that is sure fact.